Finishing a PhD program is the crowning achievement for ambitious scholars seeking the uppermost echelon of academic, government, clinical, and private-sector leadership jobs. The New York Times called the Doctor of Philosophy (PhD) a long-haul degree that takes nine years on average. Traditional PhD curricula involves nearly 100 credits of advanced seminars, research assistantships, and hefty dissertation work. In fact, CBS News reported that just 57 percent of PhDs actually graduate in 10 years. The median age for the elite 67,449 PhD recipients in 2014 was 35 according to the World Economic Forum. Fortunately, online learning has promoted the creation of PhD shortcuts at many legitimate universities. Shortening the PhD length can increase your chance of graduating and save you from the high $24,851 mean debt reported in The Atlantic. Therefore, this article is devoted to finding the fastest PhD programs that will accelerate your path to higher education’s most prestigious degree. First, our team used the Peterson’s database to collect data on 618 online graduate schools that offer doctorates. This list was narrowed by eliminating programs that didn’t specifically confer a PhD. In other words, we nixed PhD alternatives like the Doctor of Business Administration and Doctor of Education. Next, we judged each doctorate’s academic quality by removing those lacking regional accreditation. Only not-for-profit colleges with traditional campuses for doctoral resources were chosen, so this got rid of options like Walden and Capella. Then, we looked for accelerated PhD paths that could take three years or less. Searching for shorter courses, post-master’s tracks, multiple start times, and ample credit transfers was our goal to accelerate. We also picked PhDs in wide-ranging fields and diverse prices to list something for everyone on any budget. Ranked by estimated duration, these are our 20 Fastest PhD Programs where graduation could be only 36 instead of 108 months away. Ranked 12th by the U.S. News & World Report, the Fu Foundation School of Engineering & Applied Science at Columbia University provides a fast-track PhD in Computer Science for its MS graduates with minimum 3.3 GPAs. 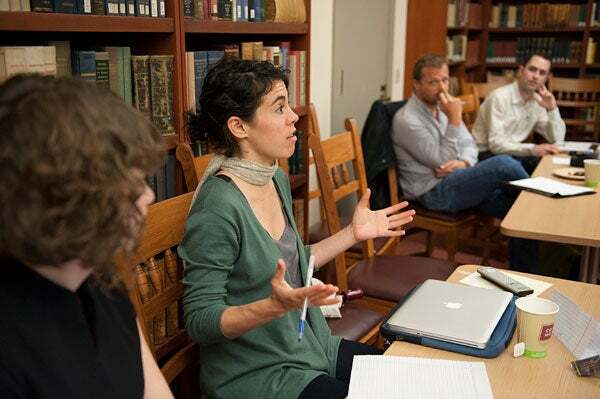 The 30-credit doctorate chaired by Dr. Rocco Servedio starts each Spring or Fall with 4000-level Columbia Video Network courses and one-on-one research advising. Available specializations, including Machine Learning, Network Security, Robotics, and Computational Biology, take only two years. Learn more about the Fastest PhD Programs at Columbia University here. The College of Engineering & Mines at the University of North Dakota, America’s 185th top research institute on Forbes, logs into Blackboard for a quick PhD in Biomedical Engineering overseen by Dr. Hesham El-Rewini. Open until August 1st, December 1st, or May 1st, the 60-credit, post-master’s program meets ABET standards for medical device innovation. Within just two years, graduates can advance at Siemens, Baxter International, Pfizer, Philips, and others for a median $82,000 salary. Learn more about the Fastest PhD Programs at the University of North Dakota here. Founded in 1901, the Sinclair School of Nursing at the University of Missouri ranks 108th nationally on Niche for seven degrees, including the accelerated PhD in Nursing that enhances clinical research skills. The 56-credit, post-MSN program administered by Dr. Sarah Thompson takes registered nurses only two years full-time. Canvas courses focused in Population Wellness, Health Systems Innovation, or Symptom & Behavior Science are paired with two four-day Columbia intensives annually. Learn more about the Fastest PhD Programs at the University of Missouri here. Chaired by Dr. Linda Malone-Colon, the School of Liberal Arts & Education at Hampton University, Times Higher Education’s 191st top pick, offers Blackboard access to a speedy PhD in Educational Management lasting 2.5 years. The 66-credit, CAEP-accredited curriculum immerses certified teachers in four concentrations: Higher Education, PreK-12 Education, STEM Leadership, or Special Education. Apply before January 15th with GRE scores above 150 to begin accelerated, nine-week courses on school reform methods. Learn more about the Fastest PhD Programs at Hampton University here. Named America’s #1 most politically active on The Princeton Review, American University started the Three-Year PhD in Communication in 2011 within the ACEJMC-accredited School of Communication. The 54-credit, full-time program organized by Dr. Kathryn Montgomery accepts post-master’s candidates until December 15th yearly. Blended courses in DC and on Blackboard follow an 11-month calendar year for three fast emphases: Public Engagement, Media Institutions, or Media Technology & Culture. Learn more about the Fastest PhD Programs at American University here. Old Dominion University grants a 60-credit PhD in Instructional Design & Technology online via the Darden College of Education, which ranks 105th on the U.S. News & World Report with 580 graduates enrolled. Headed by Dr. Jane Bray, the 2008 Pennsylvania Teacher of the Year, the post-master’s option logs into Monarch Key accounts for live meetings. Interactive Web courses like Distance Education and Learning Assessment end with a dissertation in as little as three years. Learn more about the Fastest PhD programs at Old Dominion University here. The Graduate School of Arts & Social Sciences at Lesley University, Washington Monthly’s 129th best institution, created the Low-Residency PhD in Expressive Therapies for counselors integrating the arts in mental health practice. Managed by Dr. Michele Forinash, LMHC, the 45-credit program totaling $57,475 takes around 36 months for art therapists with 3-5 years of professional experience. Courses are primarily on Blackboard with only one three-week Cambridge trip each summer. Learn more about the Fastest PhD Programs at Lesley University here. Placed 216th for research influence by the CWUR, Colorado State University-Fort Collins awards 49 doctorates, including the Online PhD in Systems Engineering, from the ABET-accredited Walter Scott Jr. College yearly. This 72-credit degree outlined by Dr. David McLean transfers 30 master’s credits for accelerating toward dissertation completion in three years. On-demand Canvas lectures like Energy Networks and IT Project Management are designed with input from 600+ industry leaders. Learn more about the Fastest PhD Programs at Colorado State University here. On Blackboard Learn 9.1, Mississippi State University awards the PhD in Community College Leadership quickly via America’s 60th best College of Education on Niche for post-master’s teachers with cumulative GPAs above 3.3. The 61-credit, CAEP-accredited curriculum overseen by Dr. Richard Blackbourn minimizes Starkville trips during courses like Personnel Diversity and Educational Data. Individuals applying by October 1st or March 1st could enter junior institution administrative roles in as little as 36 months. 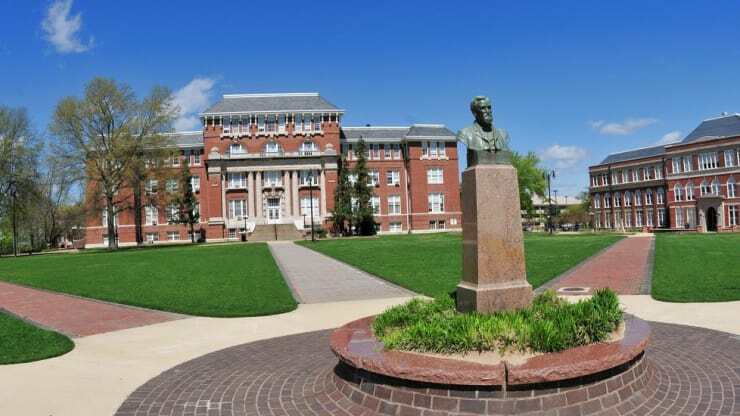 Learn more about the Fastest PhD Programs at Mississippi State University here. Bestowed the 2011 IAP Distance Education Award, the College of Arts, Humanities & Social Sciences at Nova Southeastern University ranks 41st on the U.S. News & World Report for its three-year PhD in Criminal Justice on Canvas. The 60-credit program chaired by Dr. Kimberly Durham admits post-master’s Fall cohorts until May 22nd. Graduates take two courses each 14-week trimester to accelerate three concentrations: Behavioral Sciences, Juvenile Justice, or Organizational Leadership. Learn more about the Fastest PhD Programs at Nova Southeastern University here. Attracting 61 doctoral candidates, the PhD in Parks, Recreation and Tourism Management has gone digital after a 35-year, COAPRT-accredited history in the Graduate School at Clemson University, America’s 72nd best value in Money magazine. The three-year plan devised by Dr. Wayne Freimund has 60 credits, including dissertation work, primarily on Canvas. Applying for this fast doctorate requires master’s GPAs over 3.0, at least 2,000 hours of recreation therapy experience, and NCTRC certification. Learn more about the Fastest PhD Programs at Clemson University here. The Oregon State University Ecampus connects to the CACREP-accredited College of Education, which places 130th nationally on the U.S. News & World Report, for three-year PhD in Counseling cohorts ready to resolve human suffering. Directed by Dr. Lisa Schulz, the 150-credit, scholar-practitioner program has four 11-week quarters yearly for quick completion. Master’s entrants with 600 previous internship hours apply by January 31st to begin Blackboard courses and two Wilsonville residencies per term. Learn more about the Fastest PhD Programs at Oregon State University here. Crowned Forbes’ 238th best public school, Indiana University of Pennsylvania utilizes Blackboard Web conferencing in the ABET-accredited Engineering Department to award an Online PhD in Safety Sciences within just three years. The 54-credit degree managed by Dr. Jan Wachter enforces OSHA occupational health regulations in accelerated cohorts. Post-master’s candidates with minimum “B” averages access courses like Epidemiological Analysis digitally with one-week summer workshops in Johnson Hall. Learn more about the Fastest PhD Programs at Indiana University of Pennsylvania here. Given CAEP “Nationally Recognized” status, the College of Education and Behavioral Sciences at the University of Northern Colorado landed 150th on the U.S. News & World Report for enrolling 888 online post-grads with a median 153 GRE score. Particularly, the 77-credit PhD in Special Education run by Dr. Silvia Correa-Torres takes as few as three years on the Extended Campus. Certified P-12 teachers deepen disability awareness with nine fast courses like Law of Exceptionalities, an externship, and the dissertation. Learn more about the Fastest PhD Programs at the University of Northern Colorado here. Union Institute & University, America’s 87th most diverse school on College Factual, utilizes its University Without Walls division to confer a 66-credit PhD in Interdisciplinary Studies Online in as little as 36 months. Advised by Dr. Anuradha Mitra, the 2011 Greater Cincinnati Teacher of the Year, the HLC-accredited program requires just two residencies in January and July each year. Students choose concentrations in Educational Studies, Ethical & Creative Leadership, Social Change, or Humanities & Culture. Learn more about the Fastest PhD Programs at Union Institute & University here. Celebrating its 50th anniversary, the ABET-accredited College of Technology at Indiana State University, Forbes’ 164th best Midwest institution, signs into Blackboard for seven graduate options like the PhD in Technology Management. This 66-credit degree headed by Dr. Nesli Alp helps STEM master’s holders advance in three years full-time or 4.5 years part-time. Meeting the 3.5 GPA benchmark allows entry into tracks for Digital Communication, Quality Systems, Industrial Training, and Manufacturing Systems. Learn more about the Fastest PhD Programs at Indiana State University here. In 2016, Embry-Riddle Aeronautical University launched the United States’ first PhD in Aviation as the #1 most tech-savvy college on Online School Center to quickly produce research scholars studying the skies. The College of Aeronautics led by Dr. Bruce Conway offers Aviation Safety & Human Factors, Operations, or Interdisciplinary tracks to this 60-credit, SACS-accredited major. Apply before February 1st to start 12-week online Blackboard courses that require only three week-long Daytona Beach visits total. Learn more about the Fastest PhD Programs at Embry-Riddle Aeronautical University here. Chosen for the NACCU 25th Annual Award in 2018, Liberty University is Niche’s #2 best online college countrywide that utilizes Blackboard to speedily confer the Christ-centered PhD in Public Policy through its Helms School of Government. The 60-credit major coordinated by Dr. Ron Miller accepts 15 transfer credits and has eight-week courses to finish in three years on average. Virtual courses are tailored in Economic Policy, Education Policy, Foreign Policy, National Security Policy, and Social Policy concentrations. Learn more about the Fastest PhD Programs at Liberty University here. Designated the 97th best by the U.S. News & World Report, the College of Engineering & Computing in Swearingen Center lets University of South Carolina students attend the PhD in Nuclear Engineering online via Blackboard. The 48-credit, ABET-accredited curriculum administered by Dr. Hossein Haj-Hariri helps master energy production methods within three years for $104,000 median pay. Few online courses, such as Radiation Shielding, Thermal Hydraulic Design, and Waste Management, involve Columbia residencies. Learn more about the Fastest PhD Programs at the University of South Carolina here. Formed in 1983, the College of Adult & Professional Studies at Indiana Wesleyan University, the 83rd best private value in Kiplinger’s, approaches the PhD in Leadership Studies from a Christian perspective with fast, three-year graduation. The 60-credit hybrid degree managed by Dr. Mark Rennaker integrates lock-step courses like Stewardship, Entrepreneurship, and Organization Theory. Each 12-week term, graduates log onto Blackboard asynchronously and attend three Saturday sessions in Indianapolis. Learn more about the Fastest PhD Programs at Indiana Wesleyan University here.